When the assignment to write on this topic was offered I was excited to volunteer. That initial enthusiasm was followed by an ‘oh no’ moment. Why, you ask? I realized that this was going to be one of ‘those articles.’ See this topic is similar to the 9mm vs. .45 debate. In other words, no one wins and people argue over how the other one could believe in such nonsense. Yup, this is one of those topics. My Every Day Carry (EDC) gun for the last 10 years. A Gen3 Glock G27. The Glock pistol is arguably the most reliable, durable and shoot-able handguns one can buy. Its simple and no frills design allows it to be used by the widest variety of users. Its simplicity also translates to ease of maintenance, replacement and after market part replacement by any user. These reasons, along with a host of others is why I choose to carry a Glock handgun for my everyday carry (EDC) gun. 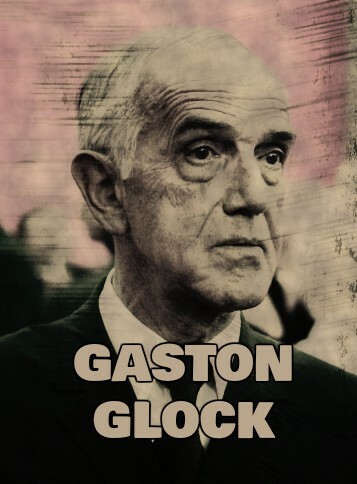 In 1963 a guy named Gaston Glock created a company in Austria that you wouldn't likely recognize as it is today: The company who produces the most recognizable firearms across the globe. This initial company fabricated plastic and steel components for other companies' products, but it wasn’t until the 70s that Glock began making its own products. Initially, they manufactured military products like knives and training hand grenades. The emergence of the Glock pistol we have all become aware of occurred in 1981. 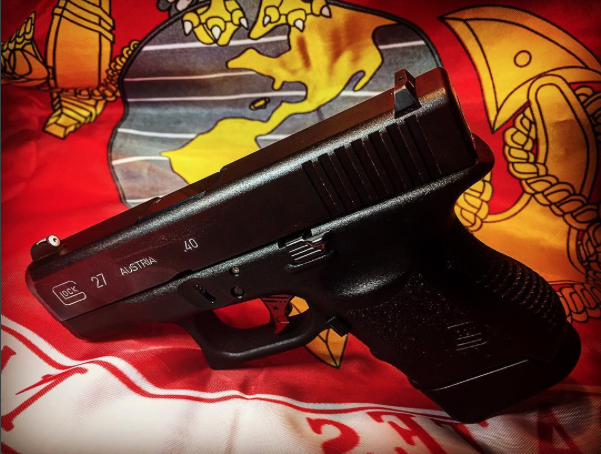 After they won a contract to produce the firearm for the Austrian Military the real work began, and the Glock company we have all come to know began to take shape. 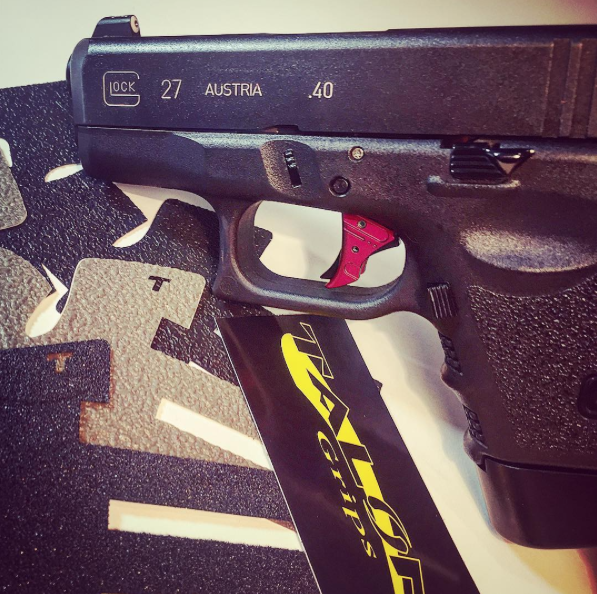 In 1983, after much R&D, the first Glock 17 handguns are supplied to the Austrian Military. The hammer-less, striker-fired guns used a polymer frame and was not something the stainless steel 1911 and revolver owners were accustomed to. The very next year, the Swedes jumped on the bandwagon and the G17 became the sidearm of choice for Sweden’s military. And in the mid 80s American law enforcement agencies began to be infiltrated by Glock handguns. 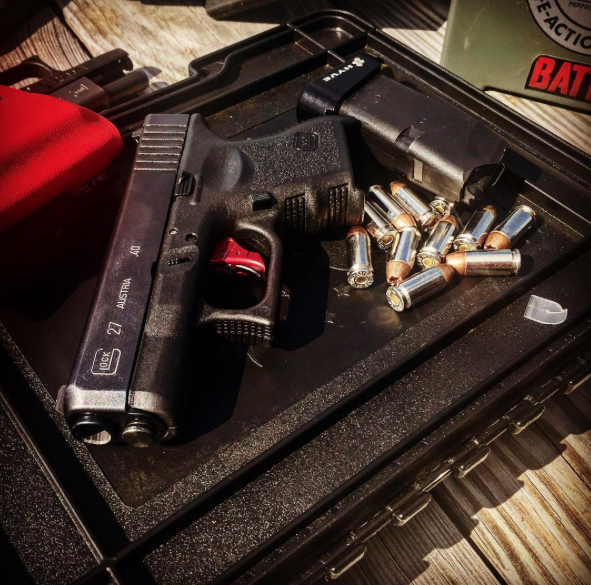 Besides the reliability, and economical price point, the higher capacity of the G17 and a shift toward the cheaper 9mm cartridge provided an excellent niche for Glock to seize upon. The dependability, ease of maintenance, and value of the Glock handgun forced ever more agencies to replace the revolvers and DA/SA guns that many officers had been carrying for years. As a testament to its popularity, in 2007 Glock recorded its five-millionth handgun sold! Yeah, that's quite a few, no? While the first generation Glock looks a little different than the Gen 4s most are familiar with today, they are amazingly similar. As with any product that has endured over time, improvements must be made to stay relevant, but the fact that the Glock has remained mostly unchanged shows how solid Gaston's original design was. This ability for the gun to remain mostly unchanged for years is similar to the 1911's iconic design (wow! I found something that Glock fans and haters can agree on). 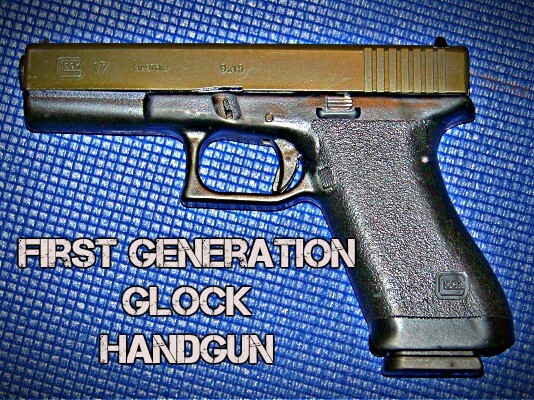 This is a First Generation Glock Handgun. It looks surprisingly similar to today's Glock's, but where are the finger grooves? The first handgun I carried regularly was assigned to me and I didn't even get to choose what I would carry. See, I was in the Marine Corps and what I was issued was a Beretta M9 (92FS). You may have seen one or two of these DA/SA guns that shot well and were insanely durable. I mean, you could literally use the thing as a hammer, swap parts, run it dirty, basically abuse it, and it still worked. All of which is great for a military issued gun. The problem with it was that it was heavy, bulky, the grips were fat and the DA/SA trigger pull wasn't ideal. When I left the Marine Corps (yes, it was a sad day) and went to the police academy I was again told which gun I would be carrying. It would be the Gen 3 Glock 22. The G22 is the .40 brother of the gun that is most widely used by law enforcement agencies across the globe, the 9mm G17. After being forced to carry it at the police academy, I found things about the Glock I really liked. I didn't know a ton about handguns but had shot a fair amount of different types of handguns to know that these pistols had some really positive things going for them. Ultimately I ended up buying a Glock 27 to carry as an off-duty carry gun. That same pistol is my go to EDC to this day. Over my time as a firearms instructor, I have had the opportunity to shoot a lot of different guns. Some have been awesome, some, not so much. After shooting all these different guns, I have stuck with the same one. How did I get to the point where, even while liking many other guns, I have always returned to the same Glock handgun? Well besides familiarity, there are a ton of things I love about these handguns. From the first time I held a Glock, I was in awe of its simple disassembly and utilitarian design. Most handguns are not very difficult to take apart, but some designs involve springs that can go flying across the room or pins that can be misplaced. They break down simply without tools or tons of tiny parts to lose. This simple design made the gun easy to clean and maintain. 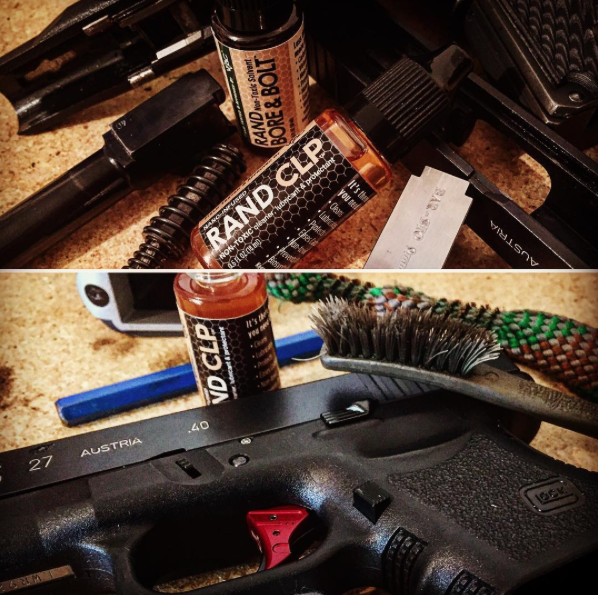 Disassembly/assembly and cleaning your Glock is simple and straight forward. In other words, Ford came up with a great product and didn’t get caught up in trying to provide a hundred different options. He stuck to what worked and made the decision for the customer. Buying a Glock is sort of similar to buying a Model T … You know what you are going to get, nothing fancy just a solid piece of machinery. Over time the lineup of handgun models they offer has grown but still remains surprisingly straight forward. Pick a caliber, choose a size (duty, compact or sub-compact), and decide if you want factory sights or night sights. Also an option are ported guns, guns with the slide cut for an optic, and a few frame colors. But, that is about it. You don't really have the choice to buy different finishes, hand grips, lasers, or get one with lever safety. What you see is basically what you get. Maybe it is because I am not flashy, but I actually like this approach. I guess if I wanted something shiny I would wear jewelry. Don’t get me wrong, it’s not that I don't appreciate a beautiful 1911 with polished chromed, because I do. But as a duty weapon or EDC, nah not for me. As mentioned, Glock makes duty, compact, and sub-compact sized firearms, with magazines to match. Obviously, depending on the frame, the capacity of the magazine will change. What is great in my opinion is that the magazines are compatible across models in the same caliber. For example, I have a sub compact .40 S&W G27, which holds 9 rounds standard. I can use a 15 round magazine in my G27 without any problem. In fact, I have used 9mm mags in it when using a 9mm conversion barrel. Again, without modification or problem. 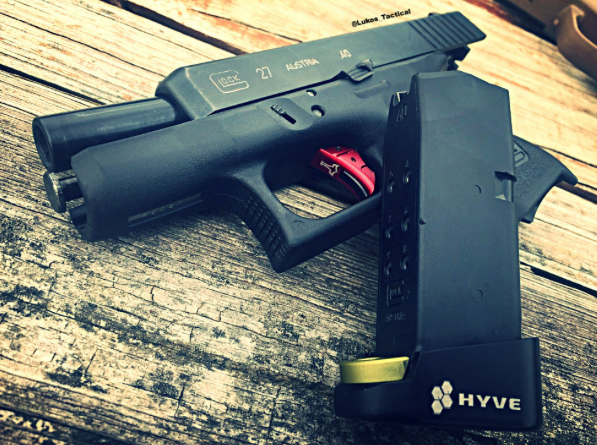 Using higher capacity magazines or adding on aftermarket extensions, like this Hyve +1 base plate, allows you to easily carry more ammo. If you shop around online for parts you'll find they are readily available. Have a G19 and a G26? You can use the same holster for both. What about if you want to enhance your Glock? Sights, triggers, magazines and extensions, grips etc., are all produced by a ton of different companies. I equate the ease of finding parts for a Glock to aftermarket products for Honda automobiles. Nearly every company that makes products for a vehicle, makes it for a Honda car. Not only do they make them, but usually they have them ready to ship. If you want a holster for your gun, and you have a Glock, I would bet you can go to nearly any holster maker and they will have a holster for you. Some other guns, not so much. I have changed out a few parts on my G27 over time (Cruxord stainless steel recoil spring and guide rod, extended slide stop lever, SSVi trigger, and XS Big Dot sights) but not because of reduced performance of any of these components. Maybe I should have made this clear at the beginning of the article, but I don’t get paid by Glock (although I wouldn’t turn it down.) But my experience is like that of so many others. That is, that Glock firearms are about as reliable as it gets. They don't need to be tuned up, broken in or treated like a baby. It runs dirty, clean or anywhere in between. They also don't need special ammunition or load to run flawlessly like many other popular firearms available today. It just runs and runs, and most of all, lasts! Some guns start off running great, only to start to have major problems as springs and tolerances begin to degrade. Not so with Glock pistols. For example, mine has had easily 80,000 rounds through it over the 10 + years I have owned it. Not to mention, I dry fire like a mad man. At least 3 times a week I am dry firing. That G27 has had NO malfunctions or components fail. Seriously, not one. By no means do I treat my gun like a safe queen either. It gets carried every day, used, and dirtied. I have placed it in mud, water, snow, whatever (purposefully of course), to test its reliability. I haven't had any problems. Not to mention the finish on the gun is exceptionally strong. Glock has used various finishes on their guns over the years, but even with above average usage, they hold their finish nicely. You don’t have to take my word for it, there are plenty of sadistic gun owners on YouTube showing how their Glocks fire under water or filled with mud. For obvious reasons, this is an extremely important factor of why I chose the gun I own for EDC. It has a very neutral bore axis and grip angle. This just means that when gripped properly, the way the gun naturally sits in your hands, places the muzzle at a natural angle, and the slide is not extremely tall. The shorter slide allows more of the rearward movement of the slide to be better managed by the shooters hands. The factory Glock trigger, while nothing close to a nice single action 1911 trigger, is very easy for the majority of users to get used to. Glock finally got on board with their Gen4 models and equipped them with an interchangeable backstrap, allowing the pistol to fit more comfortably in various sizes of hands. Even with my smaller hands, I find my that G27 is the perfect size and allows for the exact natural trigger finger placement that I struggled to find on other guns. Glock has customer satisfaction that is second to none. Ask anyone who has had to warranty a gun, or replace a part and they will tell you how responsive the company is. They've been around for a long time, and while it is highly unlikely, should they ever have to issue a recall, you bet they are going to handle it the right way and take care of their customers. The Glock Fan Starter kit. Glock’s design has been widely copied and can be seen in so many of the guns we see today. Once again it is the simple design that makes it so dependable and appealing to so many people. Well, no. It's pretty darn close, but not perfect. A Glock comes from the factory with its undeniable dependability, but also with some bare bone sights. The sights are very usable, and functionally, they work just fine but leave a little to be desired when it comes to self-defense or duty applications. The sights are plastic, and while the rest of the gun is a tank, the plastic sights are susceptible to denting. Additionally, they have a mediocre factory trigger feel. Personally, I became used to the trigger and did not find it atrocious as some other have described it, but I have felt better ‘out of the box’ feeling triggers. Glock doesn’t get too fancy with its design and that extends to the texture of the grip. Because some people like aggressive grip texture and some don’t, they left it somewhere in the middle. This kinda sets up a situation where no one is 100% pleased but everyone is pretty happy. Fortunately, you can find all different types and applications of grips to enhance your gun’s feel. Enhancing the pistol grip's feel is simple with products like Talon Grips. The fact that they don't come perfect from the factory doesn't mean it is a deal breaker. As mentioned above they are incredibly easy to learn how to completely strip apart, even beyond what is needed for routine maintenance. Upgrading your sights and enhancing your trigger feel is a breeze once you know how to do it. And, if you do some routine maintenance, your Glock will be spewing lead down range without a problem for decades. I know there are pictures of twisted, mutilated Glock frames out there. And every time I see them posted in a chat, people use it as a chance to somehow blame the firearm itself for the owner having used an overloaded cartridge, or something similar. It's as if Glock are the only pistols to ever have catastrophic failures from situations like this. Somehow because there are a few pictures on the internet, it's just a matter of time before the more than 5 million other guns being used simply explode. I am pretty sure any reasonable person can admit that every firearm company has had instances of firearms failing in certain situations. I can assure you, there is no propensity for Glocks to fail or explode more than any other company's gun. If you like Glocks as much as I do, I'm sure you enjoyed the views expressed in this article. And, if not … sorry, NOT sorry. Are there other guns out there that I really like? Sure (maybe I will write about them in the future) but I haven't found anything that has moved me away from the same gun I have been carrying for 10 years now. It's actually a video course for both current and future Glock owners and it is called Glock Crash Course. It's designed to give you all the knowledge necessary for you to be proficient in all things related to your Glock Pistol. It's our sincere hope that you take this course offered from former Army Infantryman, EJ Owens, to up your level of training. Dave, great point! I agree, there is not ‘one best gun’ for everyone. I just found what I feel is the best one for me. God bless. Ok – I’ll stir the pot first. “I have changed out a few parts on my G27 over time (Cruxord stainless steel recoil spring and guide rod, extended slide stop lever, SSVi trigger, and XS Big Dot sights) but not because of reduced performance of any of these components.” -Author offers he has “upgraded” parts over time, but not because of performance- yet he neglects to explain why. We all know why. Yet- for all the good info in this article (I respect the author and what he has to offer here) I want to remind readers that if RELIABILITY -Glocks top mark- was the top priority of shooters, everyone would shoot AK platforms. Yet they do not. While all firearms have good/bad, give/take- there are concession that will be made in most designs. Eric, I thought you were really really going to stir the pot… 🙂 I expect a lot of pot stirring with this article and I’ll try to reply to as many of the comments as I can (good thing I am a pretty boring guy). I should have made it more clear in reference to the mods I made for the gun. I did them purely out of a personal feel for what I like. The gun ran just fine and never had problems. The mods I have made to my firearm have come in the last 2 years or so and mostly due to writing reviews for products and trying out a lot of different aftermarket products for reviews and so I can advise students who have questions about products. Changing sights is a no brainer. Unless you buy enhanced sights from the factory, pretty much any stock sight is going to be adequate, but sights are definitely a personal preference and I recommend getting sights that give you a sight picture that really clicks in your brain. Trigger change is a feel thing. I like the shorter reset and shape of the trigger shoe of the Tyr trigger. It doesn’t change the pull weight or anything, just makes the trigger crisper. I don’t know any cop who carried a revolver who didn’t get a trigger job done to enhance the trigger. One of the rages about 1911’s is their great single action trigger, but yet people mod those out all the time. It really is a personal preference and not due to a design flaw. Guide rod, the upgrade was because it self-lubricates and has a little-added weight which is supposed to help with reduced muzzle rise. The change wasn’t due to the old rod wearing out even after 9 years of abuse. Extended slide stop, is just because I have small hands and pudgy fingers lol. Think of Vienna sausages…yup. I find the extended slide stop that sticks out a bit more is just easier for me to manipulate. Plus my gun is a gen 3, and the factory gen 4 slide stops seem to have a bit more texture. The military contract debacle between Sig and Glock is pretty much par for the course when so much money is on the line. I bet both companies would beg, borrow and steal in order to get that contract. But I actually like the P320. I don’t own one, but have shot it and love it. I would love to put it through its paces and shoot one for an extended period of time to see if it’s designed will have the same durability that has been experienced over the last 30 years with Glock. I don’t have any reason to think it wouldn’t last, but I have a proven reliable firearm in my G27. And even with the drop safety thing (which personally I think is being made into a much bigger deal than what it is) I like the P320. I am not saying the gun shouldn’t be fixed, I am just saying the outrage and hysteria over it is comical. But from being in the Marine Corps Infantry and being told we have a great new pack coming to replace the ALICE pack, I can tell you that rarely does the government pick the best product for the troops. Sometimes they get it right, and I really hope the P320 is the best choice for the military. But sometimes there are a bunch of paper pushers who look at numbers and don’t know a darn thing about what happens in the field. But I truly appreciate the feedback and really am humbled anytime anyone reads and responds. Don’t worry about stirring the pot, I love hearing from all sides and opinions. This world would be so boring if everyone thought the same thing. God bless!! I am a Glock owner. What this boils down to is: when the chips fall, when t s h t f, all you want is a weapon that works, first time! No jams or hang fires. This one just works for me. It does feel good to have confidence in the reliability of your gun. Thanks for reading and commenting!! God bless. Damn straight. It is the one gun I have owned in a lifetime of owning and shooting a vast array of guns that has never failed me. Not once. Not under any circumstances. 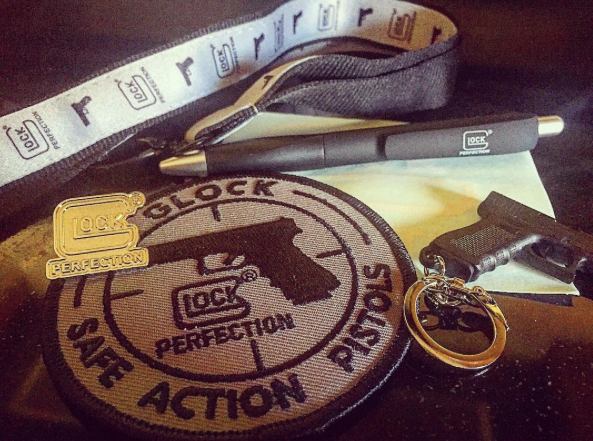 I carry one for my EDC, I carried one in Iraq as a DoD contractor, and I will always feel the confidence that comes from knowing I can rely on my Glock. OMG Glock nuts. How many police officers have had an accidental discharges? The weapon is not safe. The trigger can hang up and discharge a round! Ask the US Marshall in Orlando about the Glock! I bet he wished he had his Beretta 92FS? Also I do believe the is a Federal case going on about how safe they are. Hi Mike, Thank you for your comment and feedback. I just wanted to address the questions you posed. I don’t know how many officers have shot themselves with a Glock, there hasn’t been an accurate study or reliable count. I certainly hear about this happening all the time though, just never see any actual substantive articles. I will tell you that I was a police officer for about 8 years and 99% of the officers in my department and the surrounding agencies of San Diego County carried Glocks. I never knew or heard of one incident where an officer shot themselves with their duty weapon. I know of one officer who had a ND in the locker room with his 1911 though. Not sure which trigger you are speaking of, or the problem with the trigger ‘hanging up.’ I study a lot about what causes firearms malfunctions and I have never run across any recall or issue with the Glock trigger hanging up and causing a ND. In fact, it would seem if the trigger hung up, it would keep it from firing. I don’t know the US Marshall, but the reason the gun went off is that he did not have control over his gun, dropped it and tried to catch it (not advisable). He caught the gun and pulled the trigger at the same time. Nothing to do with it being a Glock firearm. Maybe instead of changing the Agents firearm, they should get him a better holster and training. As far as a federal case going on, this is just another ‘fake news’ story that gets repeated. You may be referring to a personal injury suit that happened this year where an individual sued Glock because they thought their ND was the manufacturer’s fault and not theirs. That case was dismissed. I do appreciate you reading the article and taking the time to comment and would never dismiss your rationale for carrying the firearm you choose. I think we all should carry what we feel we can best use if that time comes. NDs are the fault of the person handling the gun. Period. If someone does not feel competent to handle a gun, any brand or type of gun, then they shouldn’t. The same goes for any other machine. If you are not competent to drive a Dodge Challenger with a Hemi, then drive a Prius. It’s as simple as that. Nothing is safe if you don’t know how to handle it . . . and this is from my highly competent wife who shoots better than most men I know. Right on Mikial. Great to see you and your wife share the responsibility of self-defense. Great team right there! I am also a Glock EDC, and wouldn’t change anytime soon. It’s been my primary gun for the last 10 years and so far no complaints. Would’ve loved an external safety, but the best safety is your trigger finger!! For the last 40 years I’ve carried S&W Model 29-2 (yep, Dirty Harry’s gun), later a Model 645 (which was excellent but lacking for customization) and finally bought my Glock Model 30. This is where things come into perspective: since I’ve no magazine capacity ban, the first thing was to get 2 Model 21 mags with spacers so I could have 13+1 and a 13 round spare mag with me. Then I installed an internal Lasermax which allows an almost dead center (pardon the pun) accuracy, as well as a powerful deterrent (try staring down at the bouncing red dot once). The size is perfect for concealed carry and the Model 21 magazine gives you a full grip. Next, most likely will be a custom trigger and ported barrel as well as changing the factory sights to newer TFO’s. Just bought my first Glock. A 21, previously used by a police officer. No mods. I took it to the range and my groups were amazingly small for me. I use two different holsters, one for open and one for concealed carry. I’ve practiced, and the gun comes out smooth, fits my big hands, and I love the power of the .45. I was initially put off by the “safety”, but my holsters cover the trigger guard well, and I’ve worked on trigger finger discipline. In short, I love the gun. I came from a S&W 9mm, and the Glock 21 just owns it. Glad you like that G21. Police trade ins are a great way to get deals on Glock firearms. Keep it up. God Bless. My first Glock was also a Gen 3 G21 I bought in 2001. I still have it and did have a 4 pound trigger installed. I carry it religiously, and have purchased a second one with night sights and mounted a light on it to reside on my bedside table. They are the absolute epitome of the perfect self defense weapon. Accurate, utterly reliable, great ammo capacity and a powerful round. It has an excellent safety and tests have shown it will not go off unless the operator either depressed the trigger or allows it to be depressed through negligence depress the trigger. Anyone who says they are unsafe because you have to pull the trigger to disassemble them has never done dry firing and are obviously ignorant of the fact that you clear and check you gun before cleaning it. And “plastic” guns are much lighter than an all steel gun and when you add the weight of 13+1 rounds of 230 grain ammo, that lower weight can make a big difference. Mikial, thanks for the feedback. I chose not even to address the ‘having to pull the trigger to disassemble the gun’ issue because if people can’t figure out that they must unload a firearm before cleaning it, they should probably look for a safer hobby. I know the article will get feedback on both sides and I actually encourage the conversation and voicing of opinion. I have the opportunity to voice my opinion in the article and am glad to provide others that opportunity in the comments section. As an instructor, I own several Glock 17 Gen2 and Gen3 . They are excellent pistols to use when teaching novices. I also have 2 Glock 34’s one of which was completely destroyed after running close 300,000 rounds through it. The slide was cracked and chunks were falling out of it. I sent a picture and explanation to Glock and they called me in 10 minutes and asked me to send them the pistol. They sent back a totally rebuilt pistol at NO charge, along with a nice note explaining that they wanted to keep all the parts for failure analysis. That’s what I call customer service. As far as the “accidental” discharges? No such thing. Those are negligent discharges. A Glock will not fire unless the trigger is completely pulled. Poor handling, or something was in the holster (like the drawstring from a jacket or hoodie) is to blame. My EDC is either a Glock 34 or an FN FNS9 long slide. I’m not exactly a Glock “fan boy”, but I have to say I am a fan of any gun that will last the test of time and Glock fills the bill. Funny thing is I never considered myself a ‘Glock Fan Boy’ because I really like some other firearms as well. I just think it’s hard to argue with the reliability and the durability of the gun. I shoot a lot of other guns on the range for reviews and to educate myself so, like you, I can give educated feedback to students on different guns, but I just come back to my Glock 27. Now, I have on rare occasion put my LCR 38spl in a pocket holster and thrown it in my cargo pocket, when I would be at the beach and wouldn’t wear a shirt. But 99% of the time I have my 27. Thanks so much for the feedback. I have a Glock G27 gen 4. I have put a couple hundred rounds thru it and am very pleased. I did add a mod to the magazine that added 1 round, but I put it on for a more comfortable feel in my hand. Never had any problems with it and agree that it is quite easy to maintain. I did put a revised grip also which makes it so properly fit my hand. Compared to my Sig, I believe it is a little wide but doesn’t telegraph through a loose shirt or jacket. Still my EDC. Hi Dan, what kind of extension did you end up going with? I find the +1 is a great option like you said because it not only gives you more capacity, but it gives you a nice grip feel too. And it doesn’t add too much to the grip causing problems with concealment. Thank you for the feedback!! Glock best gun ever!!! G17 x2 and G21 edc. I was always a hater of the “plastic gun”. The early 90’s a lot of my cohorts bought them and they had numerous malfunctions. About five yrs ago while looking to purchase new Beretta 92’s for my wife and myself, I got an offer to shoot a new G19. If I didn’t like it, I would be able to get the Berettas at a HUGE discount. Needless to say, my gun of choice was a GLOCK!!! I was SHOCKED! The feel, the accuracy, simplicity and after shooting and carrying since then, the durability. We have never had a malfunction. My G21 was an LE trade in and I was extremely dissappointed, it took me 2 hrs to clean!!! Shame on him/her, but that does prove that a Glock can be fired dirty! (I didn’t clean it before my first shooting) I am also a Glock Armorer now too. I am a major Glock fan, at times to an annoyance to my wife! LOL! (She loves her gen3 G17). I have also converted others. As far as ND is concerned from dropping them, all my Glocks have been dropped/fallen and HAVE NOT DISCHARGED! I think a lot of the early resistance, and still to a certain degree, is the polymer frame. Some people just can’t get on board with a gun that is not all steel. Some people that hate Glocks, or polymer guns, in general, have never even held one. I find it strange, but everyone is entitled to their opinions, I just find its better to base opinions on personal, unbiased experience and facts rather than hearsay or a closed mind. Glad you like what you carry because that is a huge factor in being confident. Stay safe!!!! I like my Glock,s, I prefer a Springfield Armory XD,s. I prefer the grip safety. like the original 45,s have. Its all about personal preference. I have many different guns i can carry in different capacities also.. I don’t make many comments on articles about guns or politics. Its all personal choice. I do believe in my 2nd Amendment Right. I am a gun owner an cant imagine life with out one or more.. Great Article..
Hi Neal, I am glad you made a comment on this article, I appreciate your time and thank you for telling us about your experience. As a community, we can always grow and learn from each other. Stay safe!! Matthew-great article, I enjoyed reading it. I switched to a G19 G4 for my EDC awhile back. I also, ‘upgraded’ my trigger as it just couldn’t get the feel for it. (I came from an old school revolver background.) But after hours of practice and many rounds down range, I was still having adjustment problems. Unfortunately, I have lost some feeling in my finger tip due to my Corpsman NEC, and was losing my confidence in shooting the weapon true. I have since switched to the VP9 and have really increased my profiencenty. I just seem to be able to feel the trigger better with the VP9. But I can not aruge or dispel what you have written here..Glocks reliability and ease of use sold me on the switch…just hope some day my finger will heal fully and I will be able to go back to my G19 as my EDC. Thanks Chris! Sorry to hear about your finger, hopefully, the nerves will heal. The VP9 is a sweet handgun and I don’t doubt it feels awesome! One thing for sure is the way a trigger feels is a very individual thing. I have talked to people who love their DA trigger even more than an SA. The mechanics (trigger weight, how much take-up and length of reset) are part of it. But the actual shape and width of the trigger shoe can affect the feel, and the where the finger naturally falls on the trigger also changes the feel. Glocks are definitely reliable, but there are also other manufacturers doing great work. You have a solid performer in your VP9, and if I could afford one I would grab one too lol. Thanks again for the feedback. God bless! Great article. I only got into Glocks about 3 years ago, after 20 yrs of other guns. Finally bought a 42, mostly so my son could learn on a more manageable caliber, but this year I bought a brand new Gen4 19, and recently added a pristine used G36. I love them both and carry the 19 every day. I have and will continue to own other makes, hut now, Glocks are here to stay for me. Nice article, Glocks are great! I had a Glock 17 gen4 until I sold it. I bought a Springfield XD Mod 2 that seems to deliver the benefits and similar style as a glock. But with a couple extra features. My wife selected a Glock Model 22 in .40 S&W over 10 years ago. I’ve shot hundreds of rounds thru it and it is, no doubt, very reliable. I’ve tried about a half-dozen different carry pistols over the last dozen years. Tried a pocket-sized Ruger, a S&W Chief’s Special, a Walther 9MM and now a S&W M&P 9MM 2.0 (because of the magazine capacity and 4″ barrel. I have no idea why I didn’t look at Glock because the materials in the Glock and S&W are basically the same and the Glock’s disassembly doesn’t require the tool located in the base of the grip in the S&W. I’ve settled on 9MM for carry as there is generally much more magazine capacity than we find in .40. I may have just talked myself into looking closer at Glock! Everyone is right and all of the people have the right to make decisions. One of the best thing is to find the correct firearm for you and is it safe to use. All of us are different and that is of the things that make life. If someone chooses to have a baseball bat and knows how to properly use it, you are in charge and you made that decision. I have 5 Glocks, which one is a Glock 27 Gen4 and have a Glock 30 Gen4, but it is convert to a 10mm, (Glock 29 Gen4). I love the Sig Sauer P320. (Compact 9mm and standard or Full Size 9mm.)! There are conversions and improvements that can make them better.